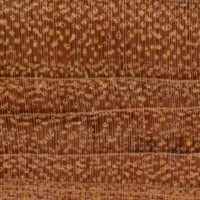 Color/Appearance: Generally an orange to pinkish brown. Color tends to darken and redden with age. 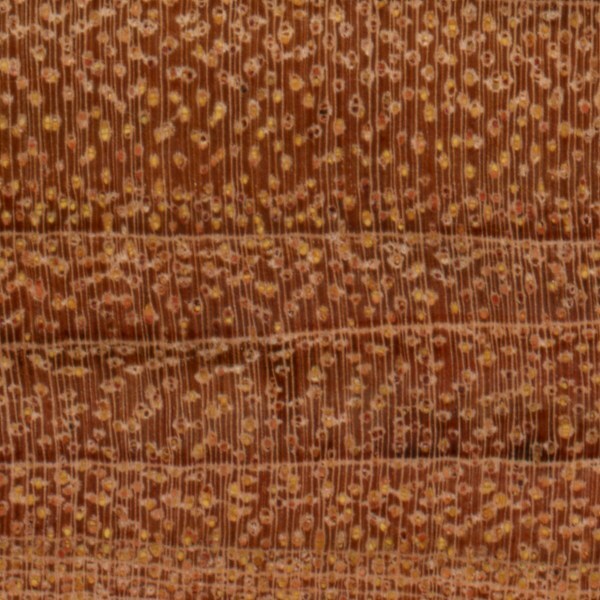 Grain is typically straight with bland patterning, exhibiting a very uniform color and appearance. Endgrain: Diffuse-porous; solitary and radial multiples; large pores in no specific arrangement, few; reddish and yellowish heartwood gum deposits occasionally present; parenchyma lozenge, winged, confluent, and banded; narrow rays, spacing normal. Rot Resistance: No specific data is available on the decay resistance of Tiete Rosewood, but tests have shown that untreated wood used in exterior applications has a tendency to warp and check. 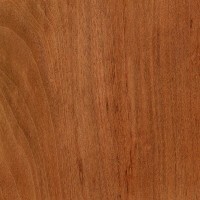 Workability: Tiete Rosewood is hard and dense, making it more difficult to work than lighter woods, but its straight and uniform grain give it a reasonable workability. Also, wood species in the Guibourtia genus tend to contain silica that can prematurely dull cutters. Odor: Has a mild scent while being worked. Allergies/Toxicity: Besides the standard health risks associated with any type of wood dust, no further health reactions have been associated with Tiete Rosewood. See the articles Wood Allergies and Toxicity and Wood Dust Safety for more information. 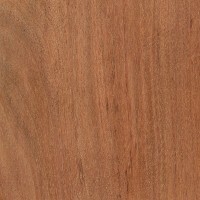 Pricing/Availability: Most commonly available as flooring planks (usually sold under the trade name “Patagonian Cherry”), Tiete Rosewood is also infrequently available as lumber. 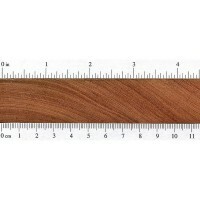 It should be relatively inexpensive for an imported hardwood. Common Uses: Interior flooring, turned objects, and other small specialty wood items. 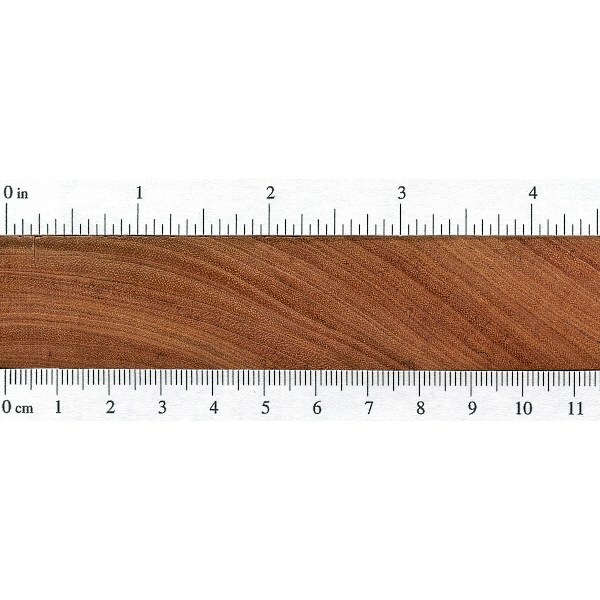 Comments: Not a true rosewood (Dalbergia genus), Tiete Rosewood is actually more closely related to Bubinga. 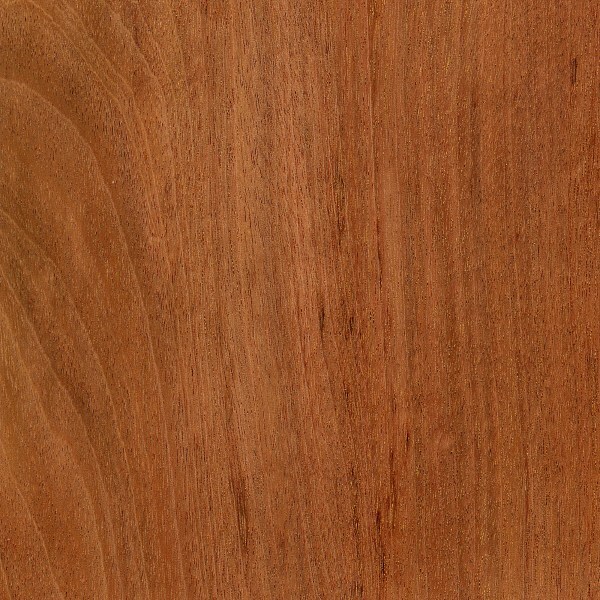 This wood has benefitted from a variety of flattering (and often misleading) trade names, and in addition to being called a rosewood, it’s sometimes sold (usually as flooring) as Patagonian Cherry, even though it isn’t related to Cherry (Prunus spp.) either. 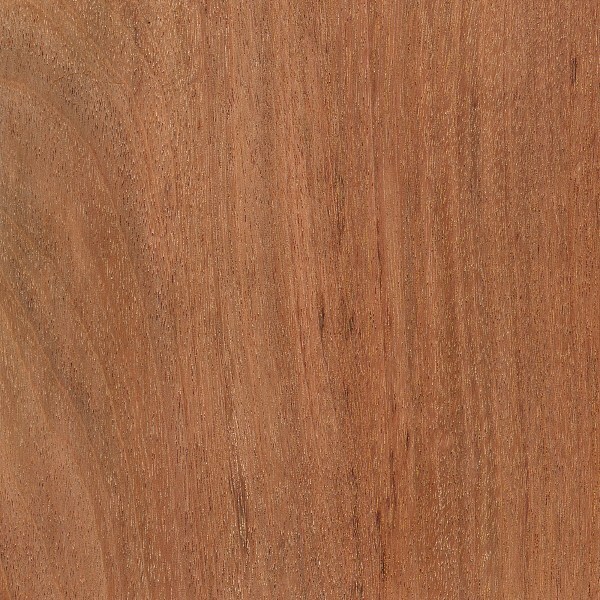 One of the only common names that isn’t deceptive is Sirari, which may be applied to a number of South American hardwoods, creating further confusion. I’m sure it would need to be quarter swan or flinched cut to reveal grain pattern & give a beautiful effect. Has anyone out there try to use it for an instrument such as a Guitar or Dobro? Might be a little hard to work, but that seems to make a good loud, bright sounding Dobro! Would this wood be good for instruments? Guitars & Dobros? Seem to be abut the correct hardness & has a good stability rating!